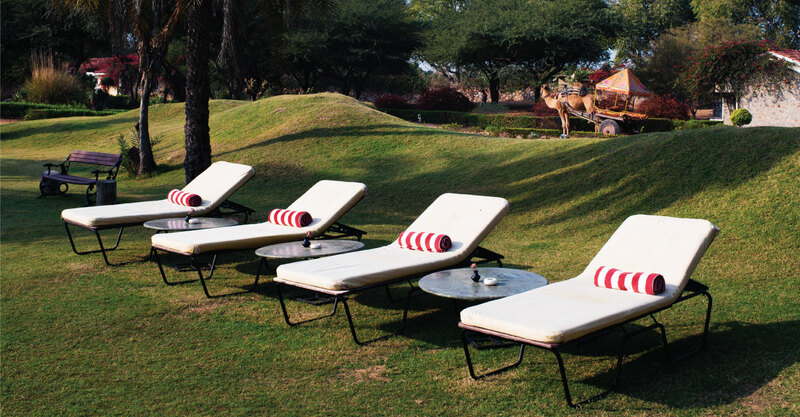 While the well manicured gardens of Pushkar Resorts and mango orchards enhance the picturesque countryside view of the hotel, watching the sunset from the terrace or listening to the early morning chirping of birds are some of the priceless experiences to take back from our resort. Those looking for some leisure sports can enjoy the refreshing pool and the games room facilities which has a range of activities like carom, billiards & pool and board games. The outdoor games include badminton and volley ball. With soothing music played by the local musicians, performance by local artists and an elaborate spread for dinner under the open sky, there is no better way to end a leisurely day at Pushkar Resorts!